Local laws vary widely, so before you go making and/or lighting off any fireworks in your area, be sure to check for and adhere to any restrictions, laws, or licensing requirements in your area, and always use extreme caution when handling incendiaries. Two days from now, most people in the United States will be celebrating Independence Day, and starting back in 1777 people celebrated by setting off fireworks. I considered writing about how to remotely set off fireworks – this allows a safer working distance, and a method to automate a show. If you’d rather learn about that stuff, the Walt Disney Company has interesting patents on the topic, and we have already covered one method in the past. I have instead decided to write about how to make your own sparklers and the technology behind them. Sparklers are legal in many places, but I cannot speak to the legality of making them yourself. If you decide to DIY, make sure to do it somewere legal. SparkFun doesn’t recommend trying this at home. While sparklers aren’t the worlds most impressive fireworks, the formulation can be tweaked slightly, or even used as is to make stars for use in ‘real’ fireworks. Fireworks are made up of oxidizers, fuels, coloring agents, color enhancers, binders, and additives. To burn rapidly enough or to explode, fireworks must contain their own oxidizer. An oxidizer is a substance that has the ability to oxidize other compounds. Oxidization really only means that the substance looses electrons & increases its oxidation state. The name is due to the fact that oxygen was the first known oxidizing agent, but other chemicals like H2O2, MnO4-, F2, Cl2, & Br2 are all common oxidizers. The material that burns or oxidizes is the fuel. The reaction between the oxidizer and fuel produces heat and often hot gases such as CO2. There are two sources of light emission in flame: black body radiation and electron excitation. Black body radiation can only produce red, orange, yellow, and white. Think hot metal such as a range burner. Other colors are obtained through electron excitation. As an atom absorbs thermal energy, orbital electrons are pushed into higher energy orbits. Electrons in the excited states are said to be in higher energy bandgaps. This is an unstable state. The electrons have a tendency to return to a stable orbit, releasing heat or photons in the process. The energy bandgap crossed determines the color of the light emitted. Low energy gaps produce reds, while higher energy gaps produce blues or violets. Coloring agents provide the atoms that release light through electron excitation. Color enhancers are most commonly chlorine donors. The most common color enhancers are Saran resin, Parlon, and PVC. Stable metal ions burn to form oxides or hydroxides. The chlorine donors form HCl when heated. These oxides and hydroxides combine with the HCl to form metal chlorides. These chlorides enhance volatility and light emission. They provide deeper colors. These chlorinate hydrocarbons also serve as fuels. Binders are used for exactly what one might guess they are used for – to bind the formulation together. The main binder in this formulation is the dextrin. Dextrin has two roles in this mixture. It is both a binder and a fuel. The dry binder must first be partially dissolved in a solvent before it can bind the formulation. The solvent used varies based on the other chemicals in the mix. Some chemicals will react with the water used in this example. Sulfur is an ignition promoter. As mixed in it is found as S8. In this form it is safe to store with the oxidizer. When heated it easily breaks down into S2 and S3, which react easily with the KNO3, starting a chain reaction igniting the harder-to-ignite compounds. Other additives found in fireworks are used to prevent caking. Some are used to buffer or adjust the pH to prevent premature breakdown of compounds. Sometimes metals are covered in a protective coating of wax or oil. None of these additives are used primarily for the reaction, and are mostly stabilizers. I’m covering a popular formulation that can be found all over and may be attributed to Allen F. Clark, who holds patents in the firework industry from the very beginning of the the 20th century. Potassium nitrate ( KNO3 ) is an oxidant, or oxidizer. It contains 47.5% oxygen by mass. Pretty obvious to see that with potassium nitrate being the main ingredient and it being nearly 1/2 oxygen, it’s a main source of oxygen in the reaction. Barium nitrate ( Ba(NO3)2 ) is also an oxidizer. It contains 36.7% oxygen by mass, and is thus also a major oxidizer in this formulation. Barium compounds produce yellow-green flames, so this sort of acts as a coloring agent too. Unfortunately the BaO formed in decomposition acts as a black body radiator and emits a yellow-white. To get a better green, a chlorine donor is needed to create BaCl, which gives a better green. Barium is toxic and must be disposed of carefully. It’s best to create insoluble barium sulfate ( BaSO4 ). Mix any leftover barium compounds with Epsom salts in water for a few days to form the barium sulfate. As stated in the previous section, sulfur is an important ignition promoter, and a fuel. Airfloat charcoal is a term for very finely ground charcoal. Being finely ground, airfloat charcoal has lots of surface area and reacts fast. It serves as a fuel. Antimony sulfide ( Sb2S3 ), also known as antimony trisulfide, is another fuel and ignition promoter. Use caution when using this since antimony is fairly toxic. Wearing a face mask or respirator is a good idea in general when working with these powders. Aluminum is yet another fuel. Due to black body radiation, it burns yellow or white. Dextrin is the final fuel source, but is mostly included as a binder. It comes in the form of a light yellow powder and must be mixed with water to be effective as a binder. Dextrin is insoluble in alcohol, so make sure you keep your water/alcohol solution below 30%. This formulation calls for 25% alcohol. The exact type of alcohol isn’t important. You can water down Everclear, or even rubbing alcohol. The alcohol helps with wetting and also speeds the drying of the binder. Dextrin is produced by heating corn starch in the oven at 400˚F. Stir every 15 minutes or so until the corn starch starts to yellow or brown. This should take about 90 minutes. The list of required supplies is fairly short. To properly mix the chemicals, it’s best to use a mixing screen. You could steal a screen off of your neighbor’s house, but for better results you should make your own. At your local hardware store or online, find some brass or stainless steel screen around 200 mesh. You could also use aluminum screen, but the main concern is that the screen you use is non-sparking. You can use 1 by 2’s or 1 by 4’s to make a wooden frame to stretch the screen over. Fix the sides together and affix the screen with non-sparking nails or staples. Brass or copper will work great. The wood will form a tray to contain the powders while you shake the mixture through the screen. You might want to seal the wooden frame with polyurethane if you plan on reusing your screen. 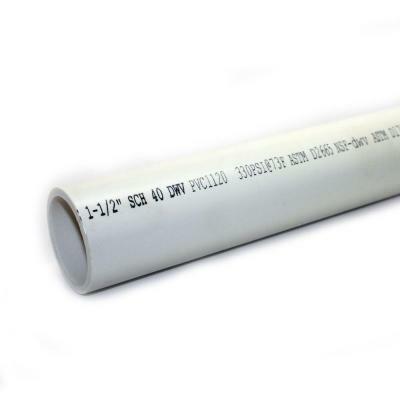 A dipping tube can be made from 1.5 inch PVC pipe with an end cap. Make the tube about an inch longer than you plan to make the sticks. Attach the end cap with standard PVC glue and allow to fully cure before using. The day before making the sparklers would work great. 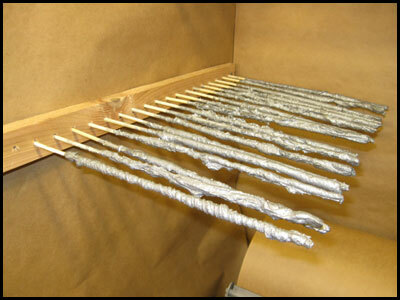 A drying rack can be made from just about anything, including a 2 by 4. Drill a bunch of holes wide enough to fit the skewers or wire, and deep enough to hold them stable. Place the holes far enough apart that you can add wet skewers without disturbing the others; 1/2″ or so should be fine. Carefully mix together the chemicals and pour into your screen. Gently work the mixture through the screen into a collection container. Be careful not to grind the chemicals through the screen. The ignition promoters make the compound more sensitive to energy sources such as friction. A brush is a good idea to help work the mixture through the screen. Slowly stir in your water/alcohol solution. Keep adding more until the mixture becomes syrupy. You will want it thin enough to be pourable, but thick enough that it will leave decent layers during dipping. Fill the dipping tube to about a 1/2″ from the top. You will likely need a funnel. One by one, dip the skewers or wire into the dipping tube. Place them into the drying rack for at least an hour or so, and up to a day. If your sparklers look as bad as those in the picture above, then you have not added enough water to the binder. To fix them, roll them on some paper to smooth them out when they are just dry enough not to stick to the paper. Repeat this process until you build up to the desired thickness. The closer to the final few layers you get, the longer you will want to let the previous layers dry. Wait a full day between the last few layers. When the last layer is added let dry for about four days. You will likely want to apply a protective coating to the finished product. A nitrocellulose lacquer or more PVC cement will work. This coating will promote smoother burning and prevent the fire from jumping down the sparkler. As discussed in the section on chemicals, various chemicals produce varying colors. The given formulation relies mostly on black body radiation for color and will be mostly a yellow-white. Try mixing in other metal salts. Try mixing in color enhancers such as potassium perchlorate ( KClO4 ). Before adding other chemicals make sure to do your research. You don’t want to create any self-igniting or toxic compounds. Don’t be this guy!